To The Stars Academy of Arts & Science/YouTubeA screenshot from a video provided by the the Stars Academy of Arts & Science that purports to show a declassified instance of US Navy jet tracking a UFO in flight. It is the third known declassified video the Department of Defence has released. The group that posted the video hopes its release sparks more debate about UFOs. 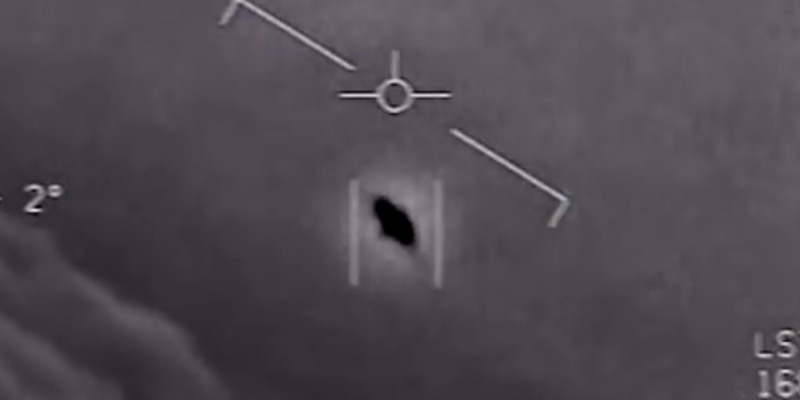 The footage was recorded in 2015 on a Raytheon ATFLIR pod, a targeting pod mounted underneath aircraft that’s equipped with a camera with a laser rangefinder and a laser-spot tracker. The pod was mounted underneath a US Navy F/A-18 jet flying about 25,000 feet at a speed of Mach 0.62. The camera makes three attempts to lock on to an object moving extremely fast, but fails the first two times. On the third try, the pod manages to get a lock, and the pilots speak out about their excitement and amazement at what they are seeing. “Whoa! Got it!” one of the pilots, yells out loud after locking on to the UFO. The object continues at a fast rate, and the pilots appear to be amazed. 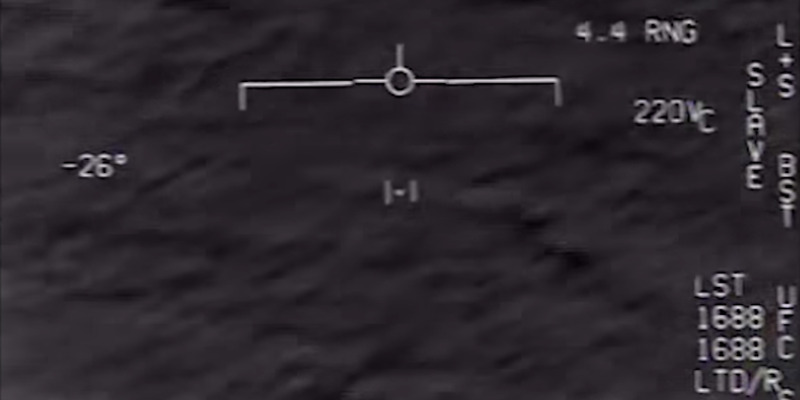 Department of DefenceFootage from an F/A-18 that shows another recorded UFO encounter that was released last December. “After 18 years of flying, I’ve seen pretty much about everything that I can see in that realm, and this was nothing close,” Commander David Fravor said. 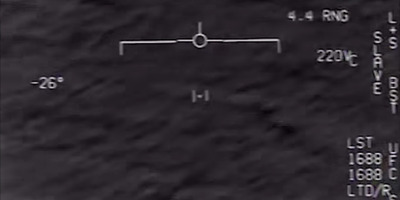 It is not the first time UFO footage recorded by the military has been declassified. 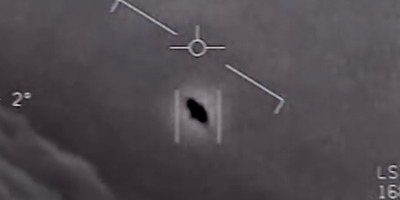 The New York Times published videos in December of declassified UFO flights recorded by the US military. The Times later reported that the Department of Defence fielded a program that investigated the incidents, but that it was terminated in 2012. “The Advanced Aviation Threat Identification Program ended in the 2012 time frame. It was determined that there were other, higher-priority issues that merited funding and it was in the best interest of the DoD to make a change,” a spokesperson from the DoD said at the time. Chris Mellon, an adviser to TTSA and a former deputy assistant secretary of defence for intelligence for the Clinton and George W. Bush administrations, wrote a piece in The Washington Post on Friday calling for more attention to the UFO issue. He said one of the reasons it isn’t investigated to the extent it should be is the stigma attached to UFOs. “Nobody wants to be ‘the alien guy’ in the national security bureaucracy; nobody wants to be ridiculed or sidelined for drawing attention to the issue,” he said.